Data Scientists: The New Rock Stars? On last week’s episode of The Bottom Line, presenter Evan Davis led a discussion about digital data. With him were Dave Coplin, Chief Envisioning Officer at Microsoft UK; Konrad Feldman, CEO of Quantcast and our very own Lawrence Jones. 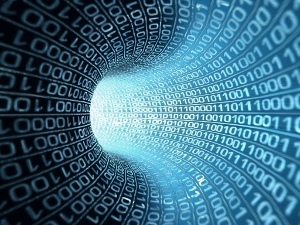 The amount of digital data being amassed and analysed is growing at an incredible rate. It’s no surprise that thought leaders are questioning how this might impact certain industries, not to mention us – the consumers – in the years ahead. Davis broke the conversation down into two parts; first, discussing how data is stored and then explaining how best to utilise it. Jones was called on to describe data centres for the listeners, portraying the hostile environment of cold aisle containment and noisy generators and, of course, the gates and razor wire around the perimeter. When asked why people would choose managed hosting rather than look after their server/s in house, Jones explained: “It’s really about being able to pick up the phone. We’re the fourth emergency service. If you have to call us, we’ll be there. We even have a clean room within the data centre; we’re that peace of mind. As the conversation moved to data analysis, Konrad Feldman of digital advertising agency Quantcast, explained how their company utilised big data. He said: “We help website owners and advertisers understand who the audiences are that are consuming online digital media. The uses of data analysis were outlined by Feldman and Coplin as they pointed out how it could contribute to healthcare and education. In healthcare, devices for monitoring pulse, skin temperature etc. could be used in future to identify patterns that could inform and assist in the provision of better facilities and advice to improve people’s quality of life. So, what do you think? Are data centre engineers and data scientists the new rock stars?